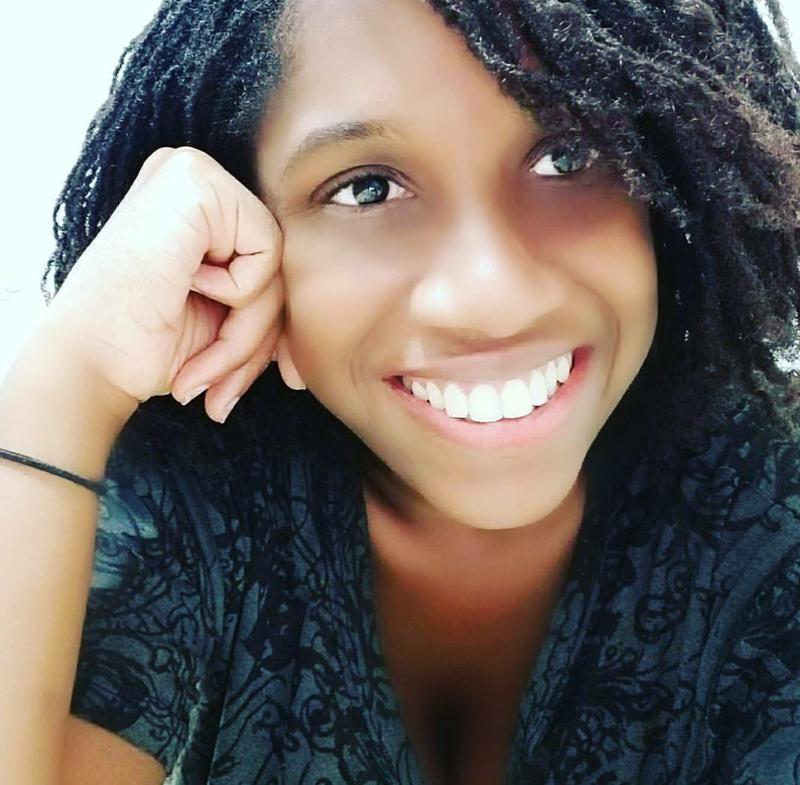 One song that I have had on repeat all summer is from up-and-coming Jamaican songstress, Jane Macgizmo. In "Babylon", the young singer delivers a powerful and unique sound, her voice at once melodious, haunting and utterly captivating. Aesthetically, the production quality of the music video is phenomenal; crisp and clean with the natural beauty and majesty of the Jamaica countryside on full display. In post-colonial Jamaica, the term "Babylon" is often synonymous with systematic, structural and/or mental oppression. For at least 4 minutes however, the soothing tones of Macgizmo's music help her listener transcend the turmoil of the world around them and be at peace, with the world and within themselves. Another favourite that is a bit more up tempo and in keeping with the summer vibes is Shakira's latest release with Carlos Vices, " La Bicicleta". It's safe to say that I've been a staunch Shakira fan since "Whenever, Wherever" (En Español: Suerte) came out in 2001 ...a while ago and "Hips Don't Lie" was a staple of my adolescent playlists. So, it's always exciting for me when she releases new music and this song did not disappoint. "La Bicicleta" was released in May, with an accompanying music video in July, that will have you up and dancing in no time. You'll want to grab your best friends, a bicycle and head to the nearest beach to catch the last moments of summer ASAP. The only thing I love more than new summer music is having my nose buried in a good summer read (preferably by the pool or in a hammock on the beach). 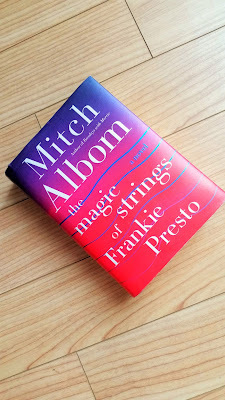 This summer, the book I could not put down came in the form of Mitch Albom's "The Magic Strings of Frankie Presto". Having loved everything Albom wrote since "Tuesdays with Morrie", I actually got this book on pre-order last November, but life has been so hectic I didn't have a chance to crack it open until the summertime and it has been well worth the wait. 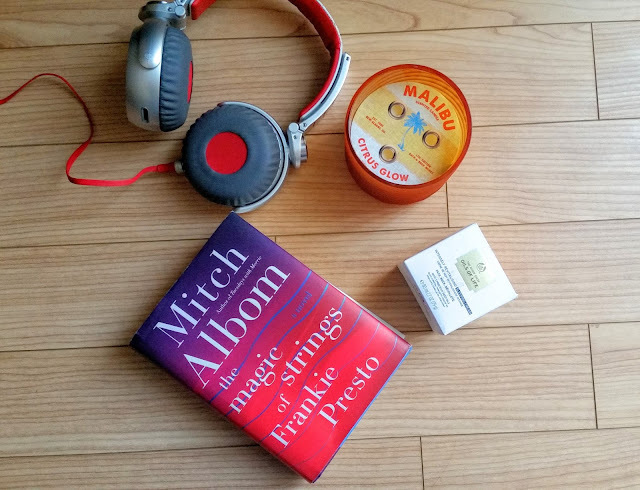 Centred around the life of fictional pop star Frankie Presto and the transformative impact his music and talent has on those around him, it is a wonderful novel for bibliophiles and music lovers alike. For a more in-depth book review, see my post here. I can't seem to find a link online, but it may still be available in select stores, so check your local Bath & Body Works. This product is part of a larger skincare range, but I only used the sleeping cream in conjunction with my regular drugstore moisturiser. However, if you're interested in learning about the other Oils of Life products you can find more info on the website here. Now, I will admit that I usually have clear skin and don't worry too often about pimples etc. BUT work, family, finances and just life generally can get the better of all of us...not to mention those time of the month cookie/cake/chocolate cravings -- am I right, ladies? And it's often our skin that pays the price. 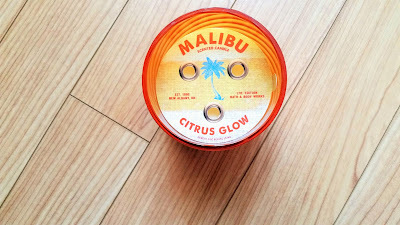 Well, I must say this little jar of goodness from The Body Shop has seen me through a lot this summer. It carried me through the stresses of grad school, finishing my thesis and the hell of moving apartments. 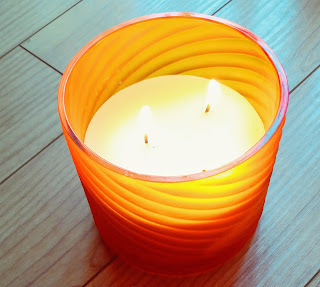 I may have been overwhelmed, but the combination of black cumin oil, camellia oil and rosehip meant that my skin never showed it. The infusion of chamomile into the sleeping cream is also very calming, which made it a great addition to my bedtime routine. 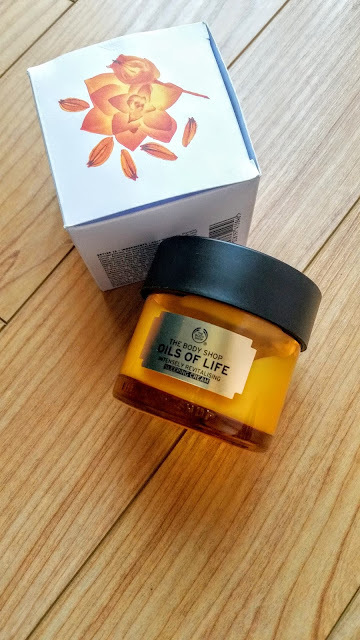 My skin can get rather dry in the Boston winter, and while the Oils of Life Sleeping Cream has been wonderful in a hectic summer, I'm sure its moisturising powers will truly come in handy in the brutal winter months to come.